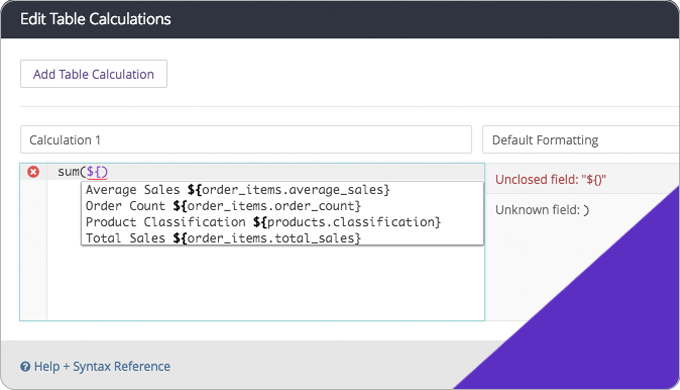 Table calculations give you the power to create on-the-fly metrics, not unlike formulas found in spreadsheet tools like Excel. 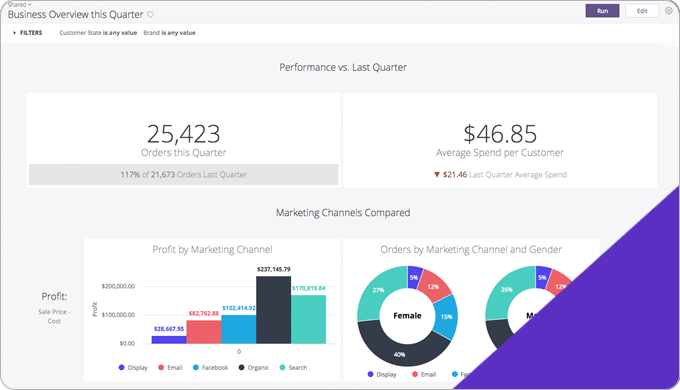 Learn how to make your dashboards so impactful that users will return to the data again and again. 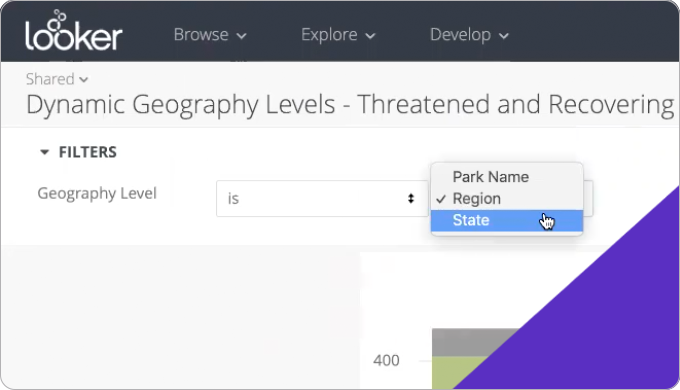 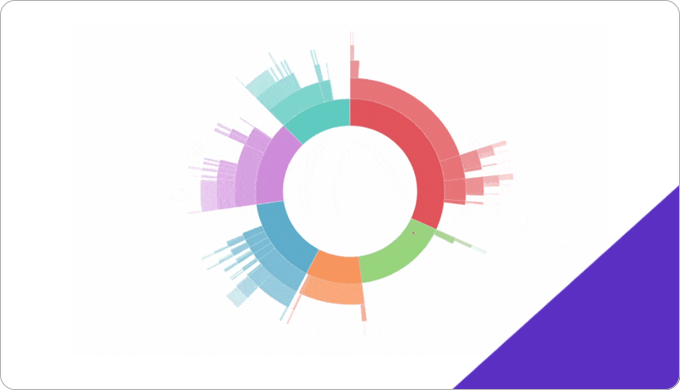 Deliver personalized reports without writing custom code for each one. 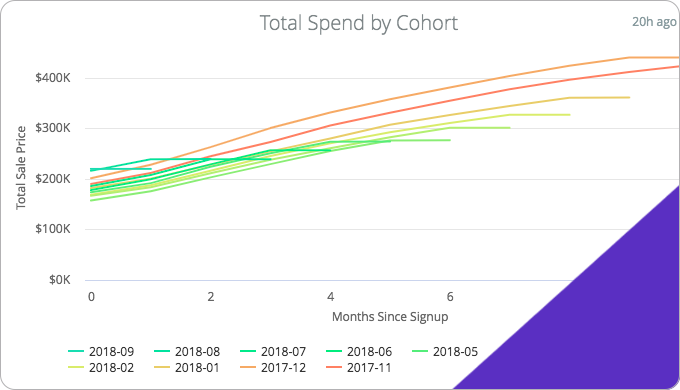 Gain the flexibility to restructure your data to do interesting things like cohort and retention analysis, sessionalize event data, and calculate the average lifetime value of a customer.